Try out these tangy chicken tacos topped with fresh tomatoes, creamy avocado, and another squeeze of lime for good measure! Place the chicken in a medium saucepan. Add vinegar, lime juice, sugar, salt, pepper, green onion, garlic and oregano. Simmer for 10 minutes. Heat an iron skillet over medium heat. Place a tortilla in the pan to toast lightly. Flip as needed. Repeat with remaining tortillas. 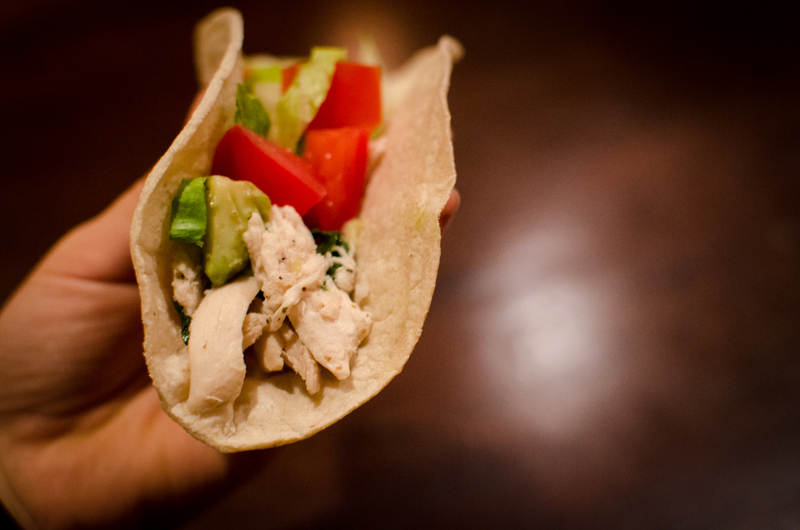 Serve lime chicken mixture in warm tortillas with a generous squeeze of lime on top, and sprinkle salt to taste. Add toppings and enjoy!